Pic Jointer is an app that allows you to combine your photos into a single grid image separated by borders. The free version of the app has advertisements and no effect-adding capability. Upgrading to the pro version for $1.99 changes that however. With this app there’s 64 different layouts of images, some with a single image, others with a grid of two or four images. The best part about each grid layout is that you can adjust the size of each image by dragging the border in or out. In addition to the individual images be customization via filters, rotations, and reflections, the borders of the collage can be modified as well. Borders can be rounded, increased in size, changed in color, and much more. The free version doesn’t add a watermark to your images, which is really great. 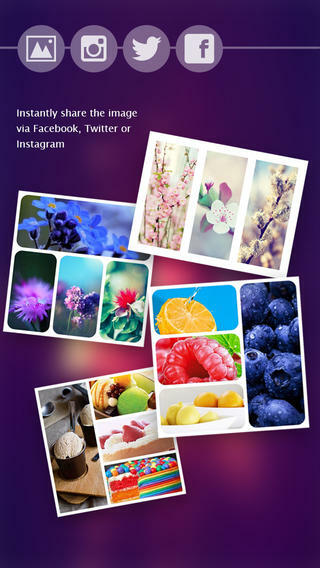 This means that if you add a photo effect to your images using another app, and then use this one to combine them into one grid image, you won’t have to upgrade to the professional version for $1.99. It would be cool if you could change the individual shape of each border, maybe you’d want one image border to be a circle or triangle instead of a rectangle. If you want to combine multiple photos into one image, whether it’s for your own art or for sharing with others, then this is the app to do it with. Rated: 4.5 by 118778 customers.